[I] [III] [III] [V] [VI] [VII] [IX] [X] - See also: War Against Christmas 2002, 2001, 2000. "You don't see the words MERRY CHRISTMAS that large anymore. In fact you don't see it at all. 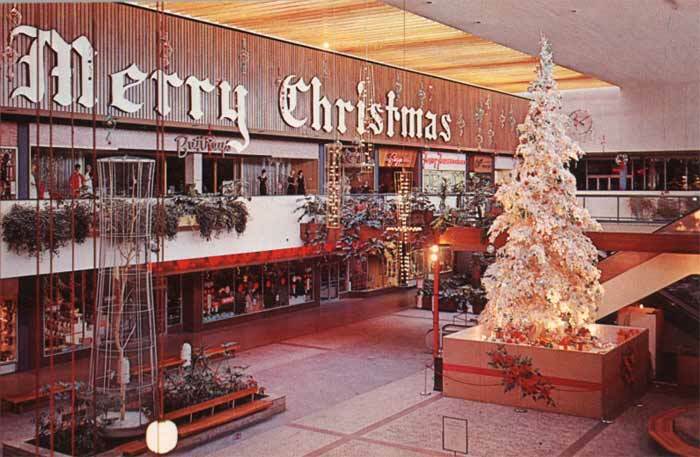 At the Mall on Tuesday it was almost the Holiday That Dare Not Speak Its Name; there were references to the season, and things festive. The very word 't'is' has become a code word for Christmas, a wink and a nod. 'T'is the season.' Which one? 'You know, the season. The festive season.' Oh. Riiiight. THAT one. The gift-giving season, you mean. "Exaaaactly." Wink." I suspect the American Civil Liberties Union would consider "'Tis" a code word, and ban it. While we're on the subject of the ACLU, let's say a kind word for another anti-Grinch site, http://www.alliancealert.org/, a website sponsored by the Alliance Defense Fund. These people, along with the Rutherford Institute, Thomas More Law Center, and the Catholic League for Religious and Civil Rights, are active in fighting the ACLU in the courts. We mentioned that NRO and National Review have returned to defending Christmas. Jay Nordlinger has a piece in the December 31 treezine called December's C-Word. In keeping with the spirit of Christmas, it's subscriber-only. We haven't seen this latest issue of National Review. But the cover of the previous issue featured a banner advertising a section dedicated to…"Holiday Books." And there has been no mention in NRO of President Bush's surprise Christmas present of revived amnesty for millions of illegals. The War Against Christmas also made the Editorial Page of the Wall Street Journal....sort of. "We have all seen the stories this Christmas season—they are not new, they are only more so—of the local struggles between what I suppose might be called the forces of modernity versus the forces of faith. Tussles in schools and townships over the Christmas display, the prayer, the T-shirt, the cross, the statue of Mary. It's all a continuation of what Michael Kinsley once sardonically referred to as the crèche menace. But it has moved beyond the crèche: It is increasingly a movement to ban on all public property—and pretty much in public, period—the signs and symbols of a religious holiday that roughly 90% of Americans celebrate." Amazingly, Noonan reveals that some years ago, when she put a statue of the Virgin Mary on her own patio outside her Manhattan apartment, the neighbors in overlooking apartments complained so much that she…capitulated and removed it. She was surprised and relieved when, on moving to Brooklyn, she found that her new neighbors would allow her to put Mary in her yard…again, her own yard. After this, it comes as no surprise that Noonan's answer to what Anti-Defamation League insultingly calls the "December Dilemma" is "to fill the public square with the signs and symbols of faith…to display a menorah…a crucifix…and yes, the answer is to show a Koran…"
"It is almost certainly concern for minority rights, not any animus toward Christianity per se, that accounts for the fact that in many instances, Christmas decorations are treated as suspect while Hanukkah or Kwanzaa ones are not." I believe it frequently is "animus toward Christianity per se" i.e. CHRISTOPHOBIA that motivates the people who do these things. See David Limbaugh's new book, Persecution, for details. "Yet to deny religious expression to the majority is not only unfair but counterproductive: Instead of promoting greater respect for religious minorities, such measures may generate a backlash." Backlash! That's what VDARE.COM is here for.